With many great casinos relatively close to the greater Houston area, you have a great excuse to go on a weekend getaway with your girlfriends, looking like movie stars. You're getting ready for a big night out at the casino, so of course you need to be looking your best. It's like going to an elegant gala event, so you should dress accordingly. Ever heard of the movie (and book) Breakfast at Tiffany's? 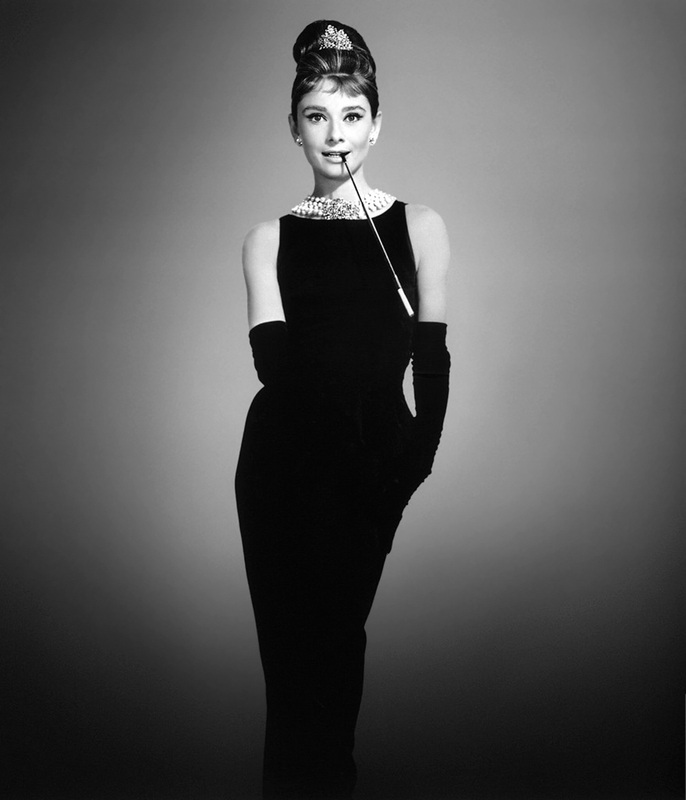 We want to use classic Hollywood diva Audrey Hepburn's style at least as a starting point for an awe inspiring look for a big night out on the town. It's a classically elegant look that's both timeless and comfy. First off, you're going to need a nice dress, something like the Little Black Dress that Coco Channel pioneered: a calf length, simple, minimally decorated, figure-hugging black cocktail dress that accentuates your natural attributes. Its neutral color goes well with anything and you can probably count on one hand the number of situations where it isn't a good option to wear; the color itself makes you look slimmer and more stylized, so you'll definitely turn some heads when you walk by looking like a goddess that decided to grace the world with her light for one night. [caption width="600" align="aligncenter"] A beautiful example of the little black dress[/caption] Next on the agenda is a nice pair of comfy dress shoes. High heels are a must because they'll give you better posture, make your legs look longer and more slender, and give you a few inches to look taller. We wouldn't recommend platforms or very tall stiletto style heels because walking around in those for a very long time - even if you're just moving from table to table playing cards or roulette - can be hell on earth. The style really depends on your own personal taste, whether you like pointed pumps, open toed or roman soldier-like strap shoes. We would recommend against pantyhose and instead going bare legged because no nylon or even silk will ever look and feel as good as your own skin (just be sure to visit a waxer first - or if that's not your style, wear a killer pair of pants!) [caption width="500" align="aligncenter"] You've got to pick a pair of shoes that best suit your personal style[/caption] Accessorizing is very important, but for this look we would recommend keeping the jewelry to a minimum: maybe a nice silver necklace (this one is a personal preference; gold feels overused, but if it's your metal choice, then by all means, go ahead! ), some discreet stud earrings and maybe a bangle. The idea is that since you're going to a place filled with constant flashing lights coming from slot machines, garish color schemes and loud noises, you'll need a subdued and discreet style that will contrast against this sensory overload and make you stand out more. Think of it as being an island of sobriety in the middle of a sea of gilded flamboyancy. Besides, it's never a good idea to go out of the house looking you raided Mr. T's jewelry box. Always remember that when fashion is concerned, less is more. [caption width="2033" align="aligncenter"] I pity the fool who wears too much jewelry[/caption] Next step is hair and makeup: our greatest goal here is to be comfortable, so our number one hairstyle idea is to wear it in a bun. Wearing your hair in a bun has a lot of perks: it won't fall into your face and obstruct your view at an inopportune time and you'll handle heat better with your hair like this, as it helps you keep a literally cool head. Those of you with long hair will agree with us that in warm places with a lot of people, it can get very hot and sweaty very fast, and unless you're shooting an aerobics workout video it's a hard look to pull off and rarely looks good. If you like letting your hair be wild and free, there's plenty of hairstyle options that you can use to great effect. It all depends on your type of hair really; curly hair definitely looks better when you let it hang loose, for example. Just hit up your regular stylist and ask him what he thinks would best suit your style and frame to make the most of it. 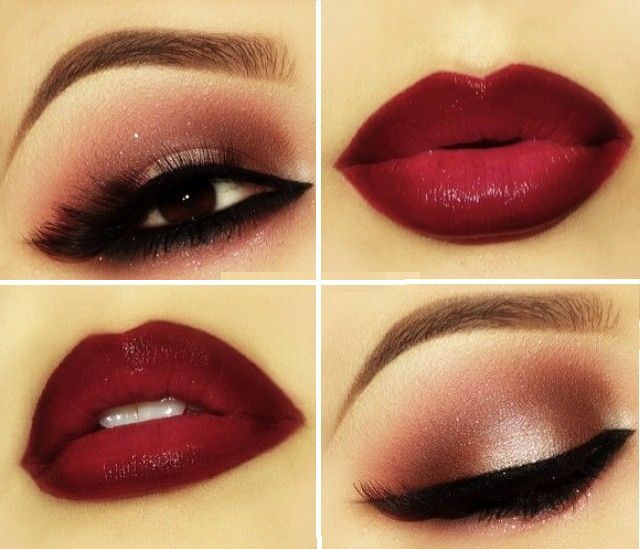 For makeup, we recommend going with a smoky style for your eyes (it makes the natural color of your eyes look more intense) and a bright, Russian red lipstick (you can experiment with other colors depending on your tone of skin). One of our favorite brands is L'oreal, because their products have intense colors and a rich, luxurious texture that will make your lips look silky and smooth. It also has a lot of staying power, so you won't need to constantly excuse yourself to the ladies room to retouch your makeup. But of course, remember that you're not going just to show off, as it would be a shame to visit a casino and not take advantage of the many fun games you can play there: Roulette, Poker, Baccarat, Slots and Blackjack, among many others. It can all be a bit overwhelming if you're new to the games, so it would also be a good idea to brush up on your casino lingo so that you can maximize your fun and be a long cool woman in a black dress. The crowning touch to the ensemble is an unforgettable scent. Making specific recommendations for perfume is an especially hard task because everyone has different body chemistry and the scent may not suit them or their tastes. You can go for the classic Channel #5; it's a bit of a cliché at this point in history, but it's popular for good reason. You can also try other scents, like Paco Rabanne’s Black XS, a very daring floral aroma. Have fun and good luck!